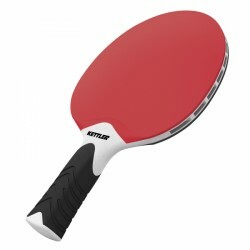 The Kettler table tennis bat Outdoor is of sturdy workmanship and weatherproof. The handle has a rubber coating and offers good grip. The layer is suitable for beginners and offers respective playing features.